P.Z. 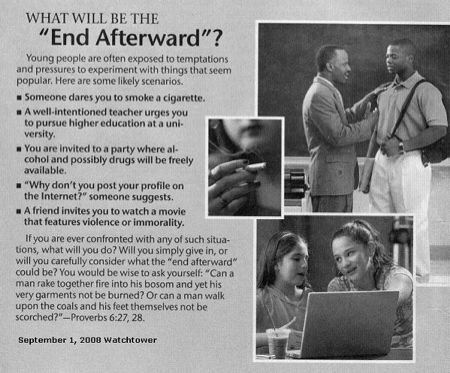 Myers posts this article from The Watchtower Magazine, the monthly magazine published by Jehovah’s Witnesses. My classroom is a den of iniquity. That is one of the ways people become know-nothings. jajajaja well what can we espect about religion, o can we say institutions ?? My idea of a den of iniquity is a place where people vegetate together while not relating to each other, such as on a city bus.